Light has a profound impact on how we sleep. Bright sunlight pouring in through the windows in the morning can act as a visual alarm clock, making it nearly impossible to fall back asleep. Staring at a computer screen or smartphone until 2 a.m., meanwhile, can also disrupt your quality of sleep throughout the night — increasing your chances of being sleep deprived and depressed. Now, new research out of Stanford University places the focus on outdoor lighting, like street lights, as a major source of sleep disruption. The study, which will be presented at the American Academy of Neurology’s 68th Annual Meeting in Vancouver in April, found that outdoor street lights made it harder for people to sleep. This might be a result of our non-stop, fast-paced modern society, in which people stay up later to work, watch Netflix, or communicate via the Internet and smartphones — all ways in which we light up our homes without realizing how it affects our sleep and relaxation. This same mentality is what keeps 24/7 shops open and outdoor areas well lit, in addition to the safety aspects of it. 1. Are your streets well lit? Please describe the lighting/illumination situation of your area. 2. 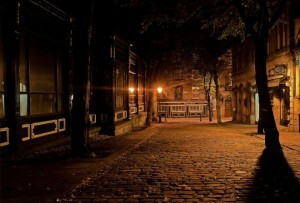 Street lights add beauty and ambiance at night. They also provide drivers and pedestrians a sense of security. However, light pollution (unwanted light in the sky) and light trespass (unwanted light shining on other properties) are becoming a concern. Please share your opinion on these opposing issues. 3. Research has shown that too little and too much sleep are both detrimental to our health. What are some of the factors that keep you from having a good night sleep? How do you handle those?